Come say "Hello!" to the knowledgeable and friendly doctors and staff at our convenient locations in Galleria. 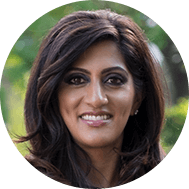 Originally from Vancouver, BC, Dr. Malik completed her undergraduate coursework at The University of British Columbia and she received her doctorate at The University of Houston College of Optometry. 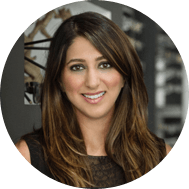 Dr. Malik has had extensive training in LASIK and Cataract surgery management and she currently is the head of the Clinical Team at Manrique Custom Vision, and is excited to bring her knowledge and experience to Pro-Optix. Dr. Malik enjoys travelling, reading and spending time with her daughter, son and husband. Born in Canada, Dr. Malik was raised in Vancouver, BC. She completed her Bachelor of Science in Biology at the University of British Columbia, and went on to receive her Doctor of Optometry from Pennsylvania College of Optometry at Salus University. During her studies, Dr. Malik spent several months training in ocular disease treatment and management at the V.A hospital in Palo Alto, CA and North Miami, FL. She also got training in speciality contact lenses and pediatrics in Houston, TX and Vancouver, BC. Dr. Malik enjoys travelling and hiking. She also loves playing volleyball when she's not busy raising her twin boys! Cynthia has been a part of the Pro-Optix Eye Care team since 2016. She is a integral part of out team as she brings with her over 10 years of experience in the optical field. 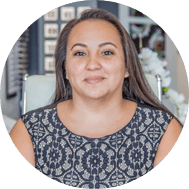 She has a great deal of knowledge with frame styling and adjustments and makes sure that comfortable and clear vision is her first priority.Her passion for her work is evident in her attention to detail and outstanding customer service. Cynthia is a native Texan, enjoys spending time with her family and loves to do arts and crafts on her spare time. Dr. Talha Rahman is a Texas licensed therapeutic optometrist with training in contact lenses, dry eyes, pediatrics, cataracts, macular degeneration, glaucoma, diabetes and other retinal and corneal conditions. Born and raised in Houston, Texas, Dr. Rahman did a double major in biology and biochemistry at Houston Baptist University and then went on to obtain his graduate degree from the University of the Incarnate Word Rosenberg School of Optometry. 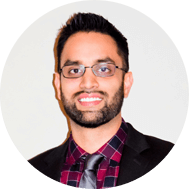 While completing his doctorate of Optometry Dr. Rahman went through extensive training in ocular pathology and treatment at the Veterans affair Hospital in Amarillo and obtained training in specialty contact lens and pediatrics from multiple clinics in San Antonio, Texas. Dr. Rahman enjoys basketball, movies and socializing with family and friends.